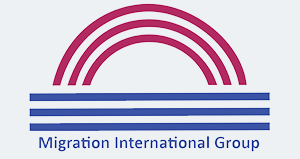 We, Migration International Group (A.B.N. 38 142 851 536) (We, Us, Our), are the operators of this payment processing page (Facility). By accessing, using, or transacting via the Facility you agree that your access or use of the Facility and any transactions conducted via the Facility and associated use is subject to the following terms and conditions, and any terms and conditions incorporated by reference below (Terms). If you do not agree to the Terms, you must not use the Facility. Copyright Migration International Group 2018. All rights reserved. English: The website (Website) is controlled, operated and made available by Migration International Group, a company registered with the Australian Securities and Investments Commission (ASIC). Deutsch: Diensteanbieter im Sinne des § 2 Abs. 1 Nr. 1 Telemediengesetz und presserechtlich verantwortlich für diese Seiten ist die Migration International Group, die den Internetauftritt betreibt. Diese Webseite richtet sich ausschliesslich an englischsprachige Personen.